A cross-game player that started in HFS in 1996. Gabriel became a Knight of the Dragon (HFS Combat knighthood awarded in 1998 for Battlefield Prowess) and Wolf (HFS Service knighthood awarded in 2000) Knight from the HFS Kingdom of Bhurtok. Gabriel started playing Amtgard off and on around 2000 at Ironcloud, Midnight Sun, and Eagleshire, and ventured into SCA and now (as of 2009) mostly plays Dagorhir and Belegarth. Gabriel is a member of the Cohors Praetoria XIII (or Praetorians XIII) Fighting Company. HFS Lineage follows Sir Nick and Sir Og for Combat, though never officially a squire. 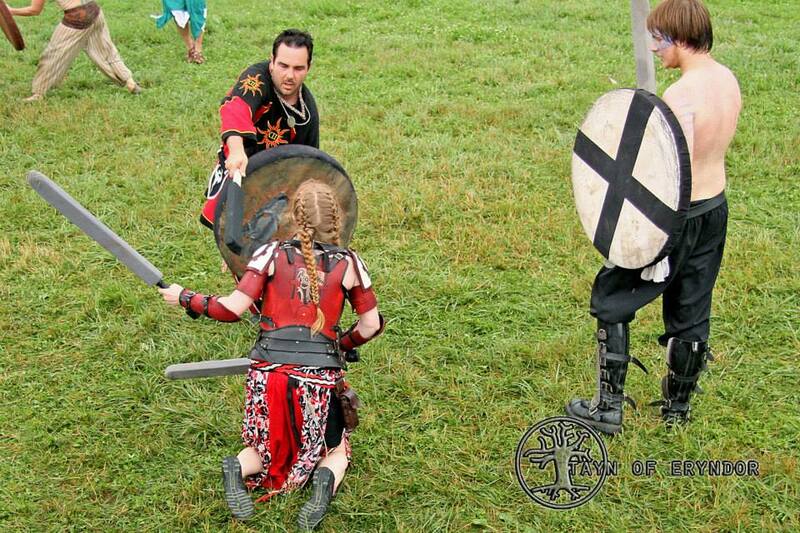 He was Sponsored for combat by Sir Sinjen & Sir Cyan. He was sponsored for Service by Dame Anna de Bradfield. Invited to HFS Fighting Company, the Nightmares, as only out of kingdom member. Turned down knighthood for later date. Gabriel felt he hadn't participated with Dagorhir long enough to be recognized in this fashion. 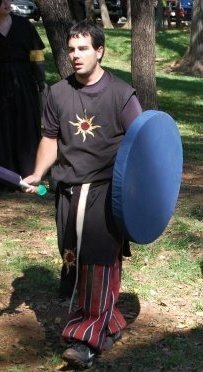 1st place, Shilling Fields 2011, Single Sword, Sword & Board, Florentine, Open Weapon. 2nd place "random weapons", Kurai took first. 2nd place "Champions of Dagorhir" tournament at Ragnarok XXVII. Defeated the 1st and other 2nd place victors during round robin, loss/tie due to overall score. This page was last modified on 22 September 2016, at 14:10.